Happy Back to School! I hope you're having an amazing start to the year. 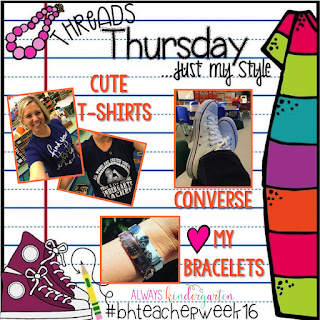 I joined the bloggers of BlogHoppin' this past week for Teacher Week 2016. 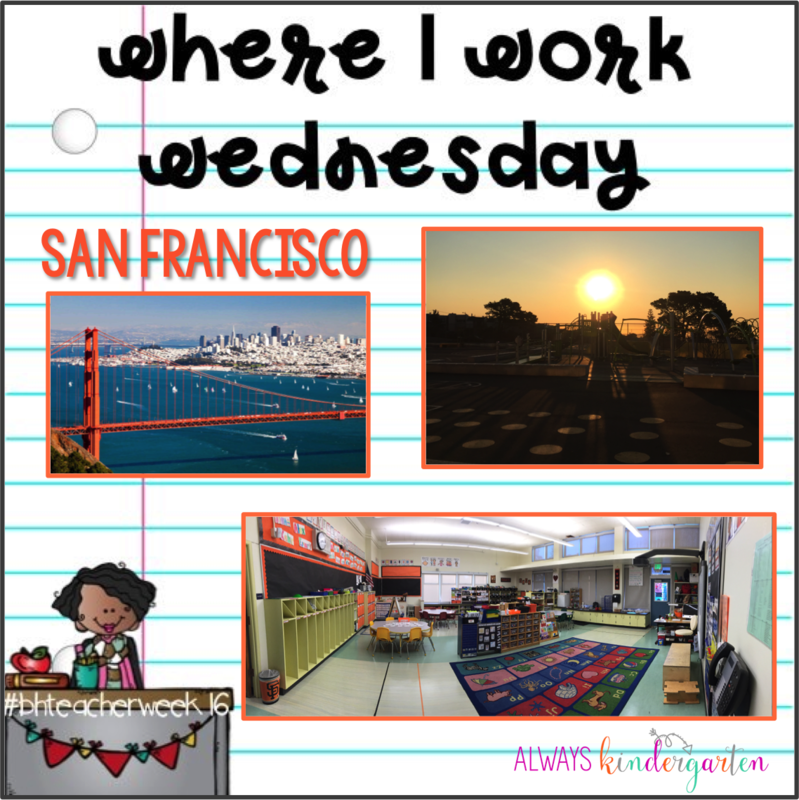 Check out my photos from the week below to learn a little more about me! These are a few of my favorite things! My family and my girls are the most important thing. I can't imagine not having them in my life. I absolutely LOVE live music! Though being a full time working mom doesn't leave me much time for going out, we do enjoy getting to concerts when we can. Our city has many opportunities to see some amazing artists. The beach is my favorite place on earth! Um, pumpkin...'nuff said. My favorite accessory is my bracelets. I have many Alex & Ani and I'm loving my Keep Collective from Stella & Dot. 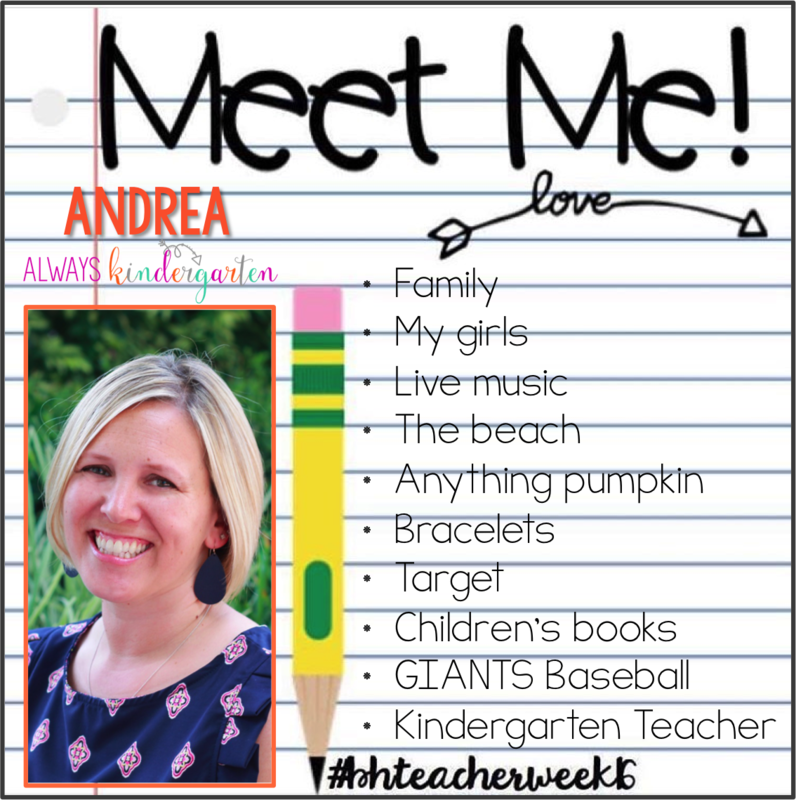 What teacher doesn't love Target!?! Oh children's books...they're like shoes, you can never have enough. GIANTS baseball...can we say 3 time World Champs! 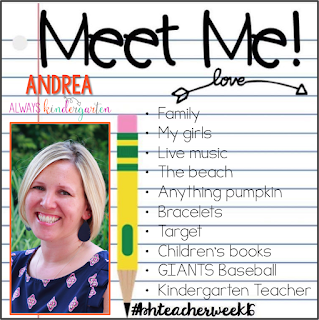 Kindergarten teacher...yeah, it's who I am. And I love it. When I started teaching, science was the subject that scared me the most. I had zero idea how I would make scientists out of 20 something 5-year-olds. Now, it's my absolute favorite thing to teach! 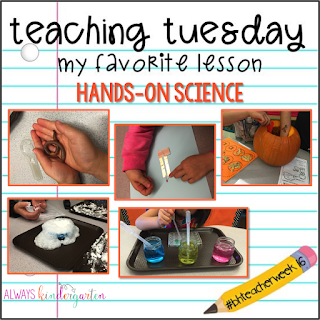 Hands on science is engaging, real, hits so many common core standards and is just plain fun! 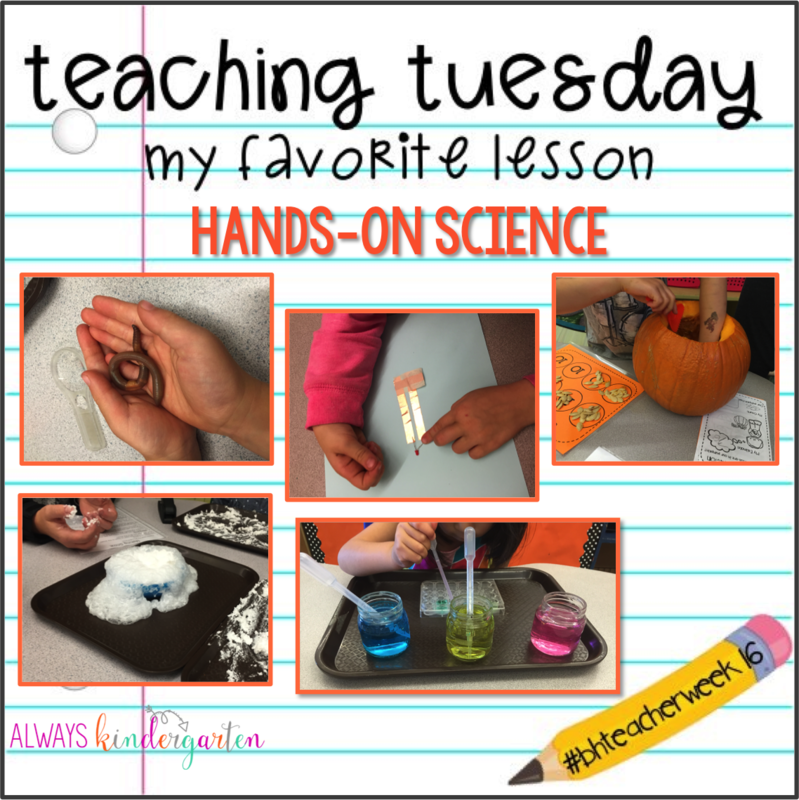 You can check out my science units here. Have I every mentioned that I get to teach in the most beautiful city!?! 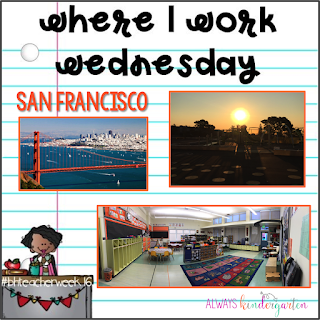 San Francisco is my home and I'm so blessed to teach in an amazing public school. My classroom is HUGE! I have two walls of windows and an amazing view (see that sunrise above!?). There's no way I'm giving up this amazing learning space...I plan on retiring here! I really do enjoy dressing up. Most days I'm dressed professionally. I typically wear capri pants, a blouse, cardigan,and ballet flats. But let's get real. Kindergarten teachers need to be comfortable. We are up and down, back and forth, covered in Kindergartener, all day long. 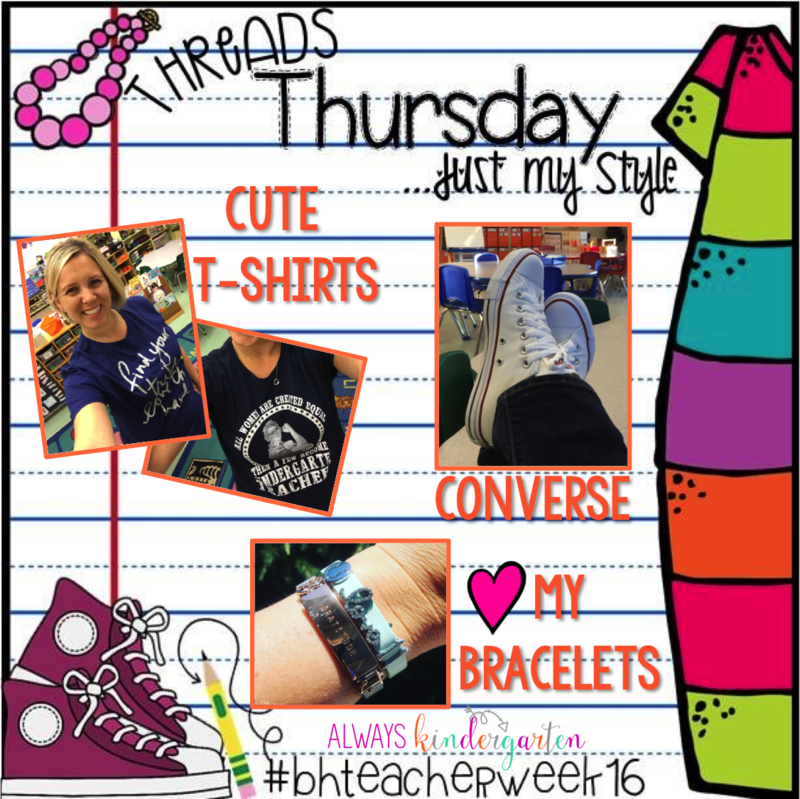 Some days, it's a cute t-shirt, jeans, and my chucks. You will never find me without a wrist full of bracelets though! I just love them. My Team: I have the most amazing team to work with every day. These girls are my rocks and they make coming to work so much fun. They are dedicated, supportive, and loving friends. I can't imagine the day to day without them. 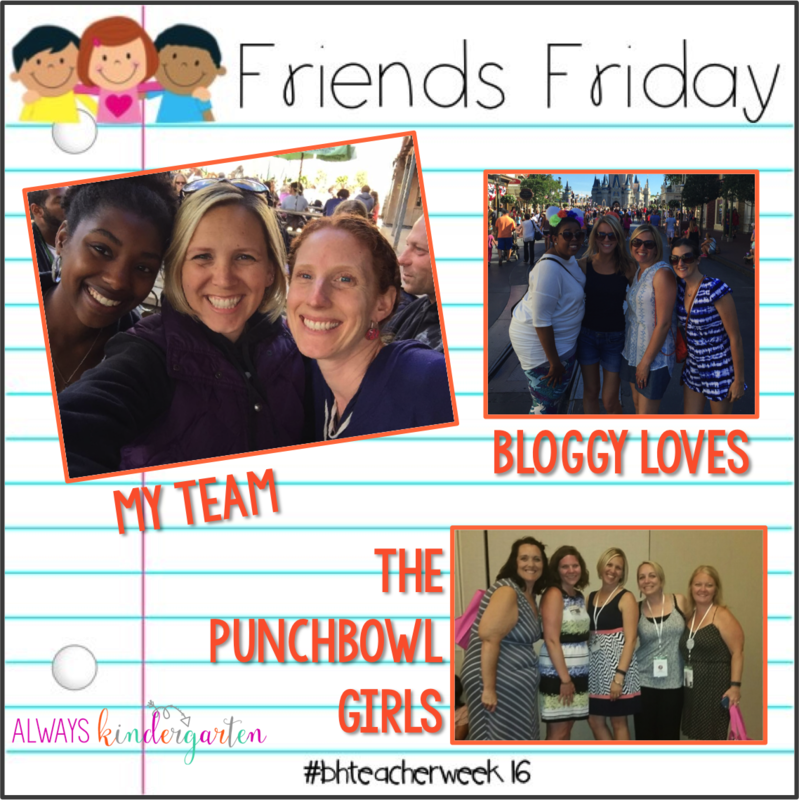 The Punchbowl Girls: My Tribe! 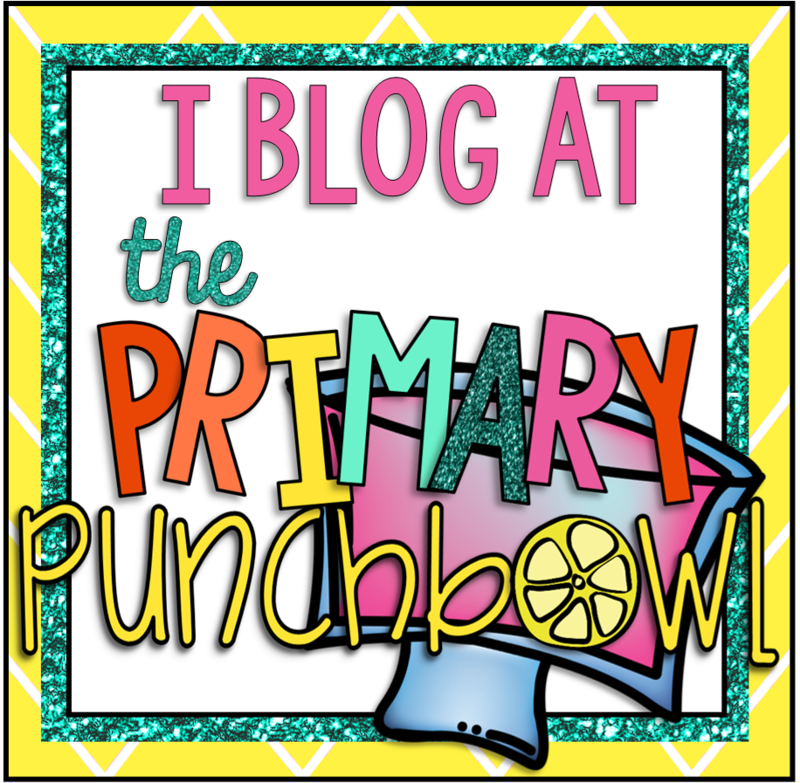 The ladies of The Primary Punchbowl have been so great on my journey as a blogger and TpT author. We are all on this road together and they are my village. 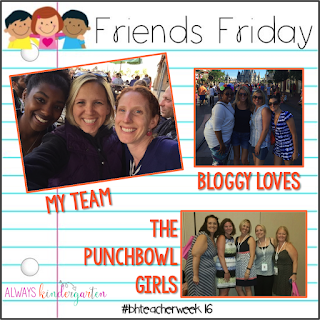 Bloggy Loves: These girls! I can't say enough good things about them. Molly (Lucky to Be in First) is my Fairy Godblogger. She has encouraged me since the beginning of this road and is my biggest cheerleader. I'm so blessed to have her in my life and to call her my friend. Greta (Learning with Mrs. Leeby) and Vera (The Tutu Teacher) were virtual friends until this summer when we finally met in real life in Orlando. I hate that we live so far away because these girls are my jam. Just the best! I hope you had fun learning a little more about me! Do we have anything in common? Let me know in the comments below. 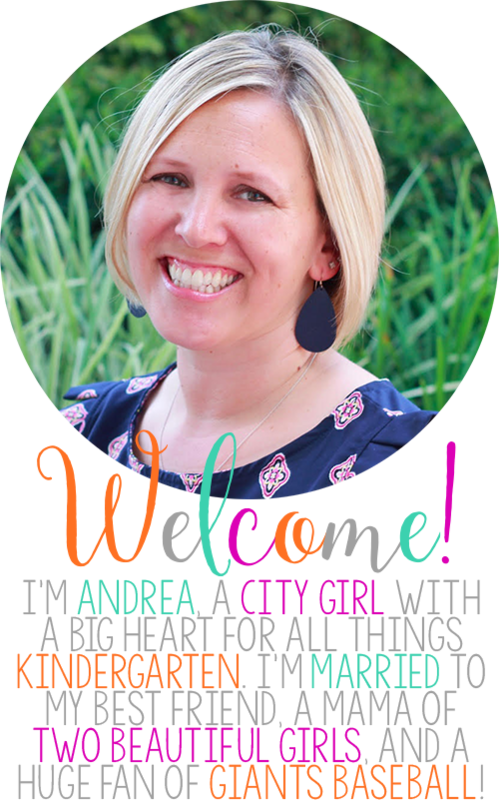 Then hop on over to Blog Hoppin' to check out the others who have linked up!